I agree with Russia, that Ukraine's entrance into NATO would be a possible, huge security issue for that nation. I'm seeing other possible countries being at odds with Ukraine's new decision, too. North Africa and Central Asia might be concerned with such a geo-political shift in Central Europe. In my opinion, Turkey would be the first obvious supporter of Ukraine's entrance into NATO. This brings up another shift. I had thought that Ukraine would first try to warm up relations with the UN. 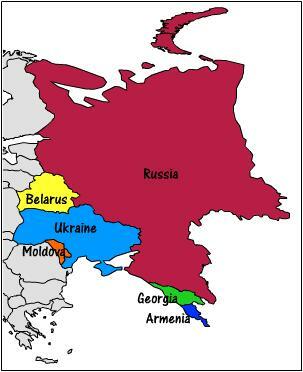 Personally, I feel this is a bold move for Ukraine. I see it as an action of a country which feels threatened. Not being a European, however, I don't know for certain the validity of Ukraine's fear of losing part if not all of its sovereignty. But, in my reading, I have noticed a new...how can I say it...a new and possible thought of Ukrainians being more uncomfortable with regional problems. I have long supported Ukraine's entrance into NATO and have long been poo-pooed for my desire by a good many Americans. May be the time is ripe. I am sorry for Russia's possible loss of military alliance in the area. But, one can only speculate just how strong Ukraine's joining would be. It seems that Turkey often is at only slight odds with its close neighbors in matters of NATO interests, when those neighbors feel the curse come upon them from outsiders. Delightful it will become to see the middle brother become stronger. At least, I hope such is the case. I pray for it in fact.